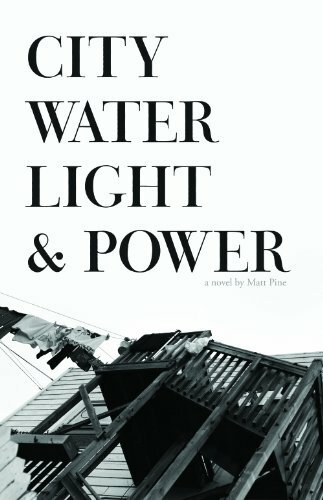 Matt Pine's City Water Light & Power follows the entwined stories of Jake and Michelle as they negotiate a changing external and internal landscape in the city of Chicago. Jake unwillingly emerges from a lost state, while Michelle must become lost before finding a sense of self. Themes of identity and renewal build in subtle crescendos of tension that rise again and again until the culminating image that transfixes these themes into a remarkable unity. Matt Pine, a Chicago native, recently moved to San Francisco. CITY WATER LIGHT & POWER (Cairn Press LLC, 2014) is his first novel.